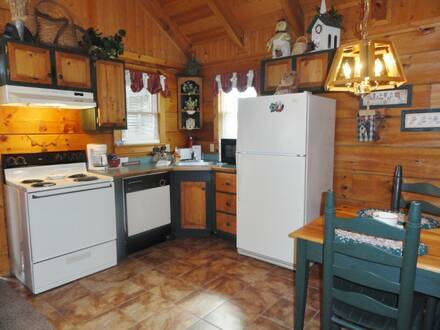 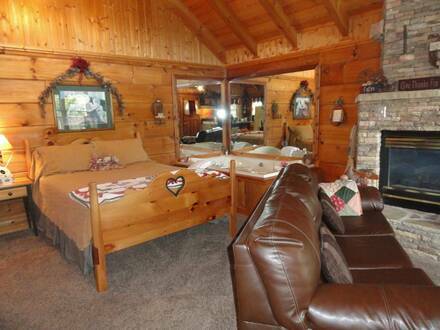 Enjoy some quiet time with your Sugar Plum, by yourself, or with the kids at this charming Pigeon Forge cabin. 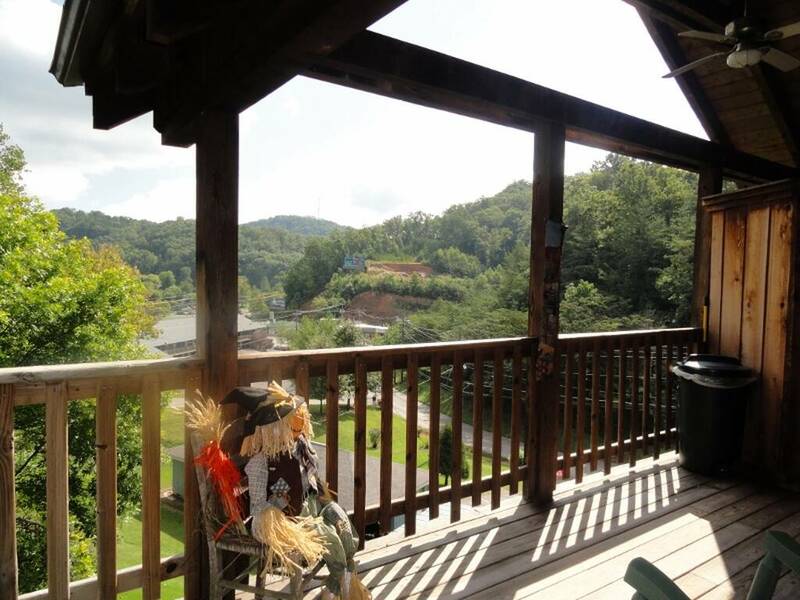 The wraparound porch offers plenty of room for two or four, from the rocking chairs to the inviting hot tub. 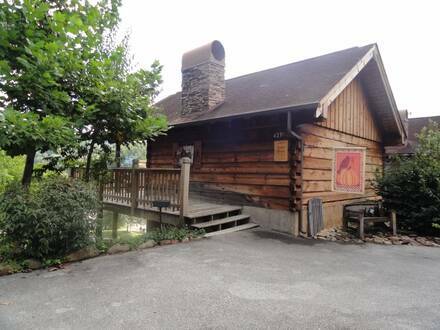 Enjoy clear mountain air as the bubbles ease your muscles after a satisfying day of hiking in the Smokies, riding the coasters at an amusement park in Pigeon Forge, or simply sleeping in and enjoying life at a slower pace. 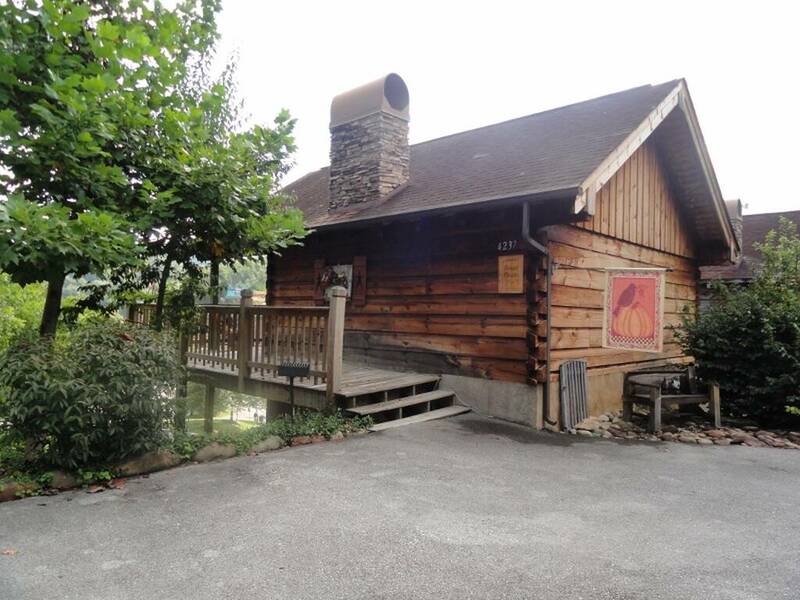 Sugar Plum is within walking distance of the parkway in Pigeon Forge, great for avoiding traffic and stretching your legs. Inside is everything you need for a week or weekend away, from a cozy living room with its own fireplace and leather couch, to its full kitchen. Save some money by packing a picnic lunch and snacks, or use the charcoal grill, perfect for grilling out whether it’s summer or winter. After all the fresh air in the Smokies, your bed will be calling at the end of the night, but save some time to enjoy the jacuzzi tub nearby. 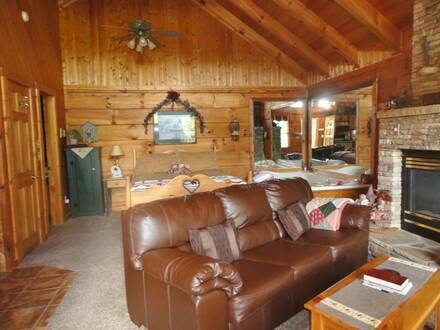 If you are bring children, unfold the sofa into a bed for extra space. Although this cabin offers plenty of opportunities for alone time, it is also an ideal spot for a group getaway, as there four other cabins nearby: Cherokee, Country Charm, Honey Tree, and Twin Hearts. 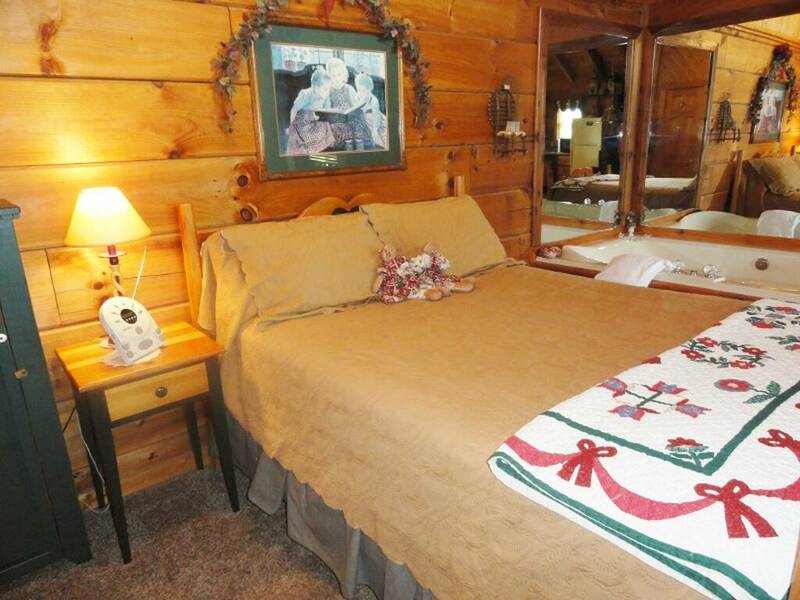 Every guest receives a free pancake breakfast at Reagan’s House of Pancakes, so spend the night apart and then reunite with the group in the morning over coffee and flapjacks . Your next vacation is only a phone call or click away, so book now!